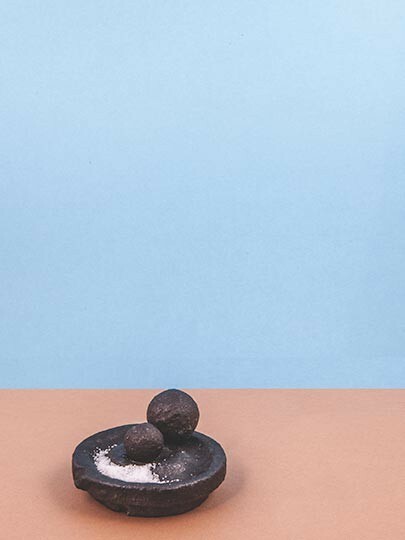 The objects of Sigve Knutson and Thomas Ballouhey combine minimalism with the aesthetics of the stone age. 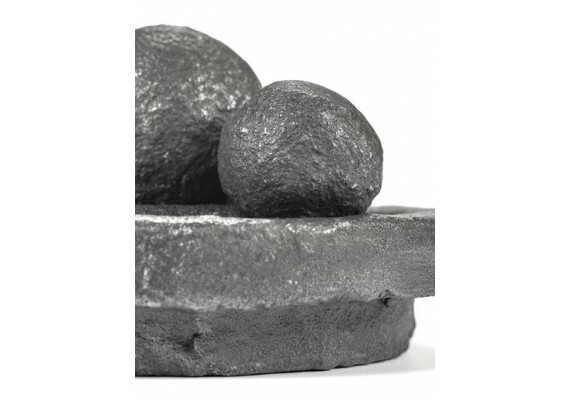 While this mortar looks like it has been beaten from solid rock, it is actually made from cast iron finished with a layer protecting it from corrosion. 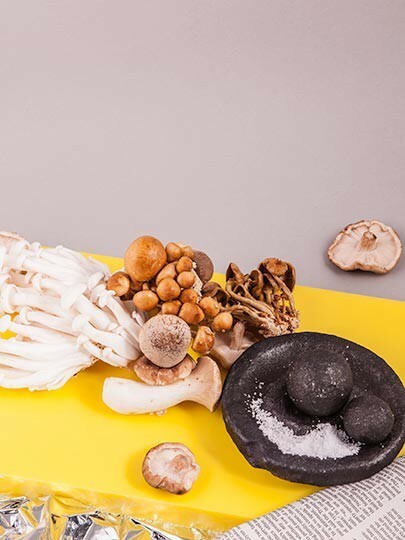 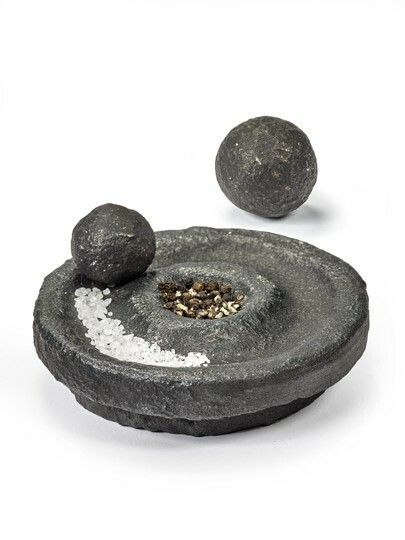 The roughly shaped herb mortar consists of a bottom with trenches tailored to the size of the two accompanying balls that grind herbs while rolling through them. 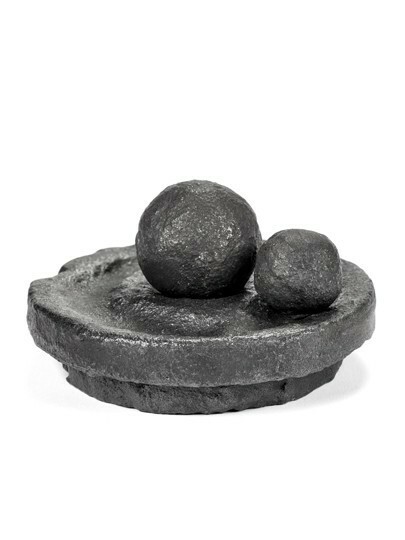 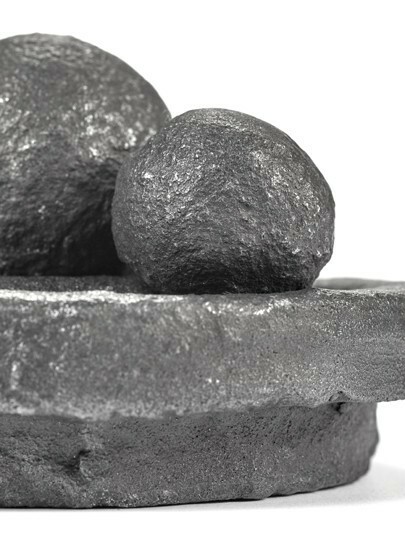 This black mortar is made from cast iron and has a diameter of 11.8 cm.